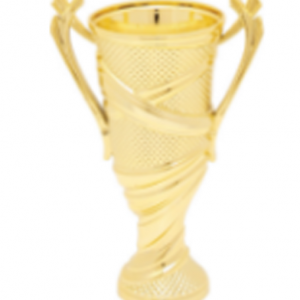 At Gold Coast Awards, we believe in customizing the trophy to fit both your budget and desire. You won’t find prefabricated trophies. A trophy can be custom-built from 4 inches to 4 feet. Trophy columns come in a variety of colors and can either be built with round or rectangular columns. 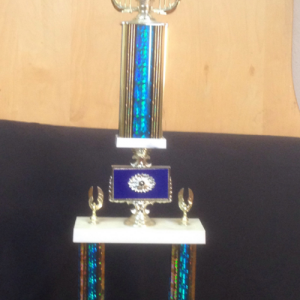 Trophy tops are available for almost any sport and can come with a variety of bases to mount them on. 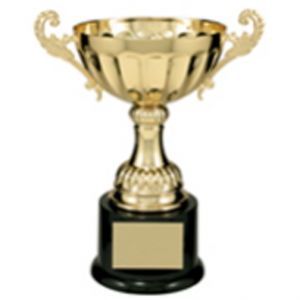 The best thing to do is to come into our large showroom where we have over 100 trophies on display and we can design the trophy the meets your desires. An award cup never goes out of style. We have over 200 cups to choose from. Our cup bases can be either marble or wood, depending on the size and style of the cup you choose.